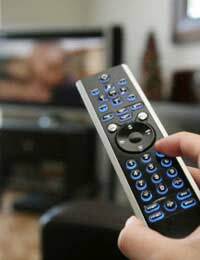 Britain and its television companies have long since been entertaining millions of British television audiences for the last four decades which a mixture of dramas and so-called soap operas. Some of these programmes are famous not just in the United Kingdom but all over the globe where their followings seem to increase year upon year. Originally going to be called ‘Florizel Street’, the soap opera that now has become as much of a British institution as the Royal Family, began life on the 9th December 1960. The fictional street based in a fictional area of Manchester called ‘Weatherfield’ has seen its fair share of heartache, laughter, pain and joy and has managed to make household names – and indeed global stars – of some of its actors and actresses. Indeed another firm favourite among viewers of Coronation Street are the Christmas Day episodes which always feature a cliff-hanger ending that has been building up for weeks previously. The show itself has seen some of the great and the good from the world of British entertainment make the walk along the cobbled stones of Coronation Street and there are still to this day a number of hugely popular and famous stars who clamour for a small number of cameo roles each year. The show itself airs 5 times a week. Eastenders, set in the fictional borough of Walford, focuses on the lives of the inhabitants of the equally fictitious Albert Square. When the show began in 1985 producers feared that although it was designed to be the BBC’s (British Broadcasting Corporation) response to ITV’s (Independent Television) Coronation Street it might not last. Now however 23 years on and the residents of Albert Square are dealing with their own unique brand of trials and tribulations four nights a week. Eastenders has also seen a plethora of stars make the trip to the fictional Queen Victoria pub for a drink and has regularly been in the top 3 most watched television programmes shown on terrestrial television. Another ITV drama that has many of its stars household names, Cracker was the brainchild of Liverpudlian writer Jimmy McGovern and featured the exploits of a troubled criminal psychologist called ‘Fitz’. Fitz played by Scottish comedian Robbie Coltrane quickly became something of a British television institution with his irreverent and sometimes deeply moving monologues on the human condition. Add to this some harrowing and provocative storylines – including one centred on the Hillsborough football disaster – and Cracker was and still is a testament to the acting and writing standard set by British television. Set in the fictional city of Holby Casualty focuses on the working and private lives of a group of doctors and nurses who tend to the injuries and illnesses of the public who come through the doors of the Accident and Emergency department at Holby General. Again the show has been running for some twenty plus years and has featured a host of well known actors and actresses who have gone on to star in their own dramas or indeed have been offered the opportunity to play a brief but important cameo role in each episode. The above mentioned dramas and a whole host of others – too many to mention here in fact – have made British drama and British soap operas sought after all across the globe.